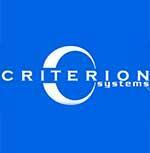 At Criterion Systems, we developed a different kind of business—a company whose real value is a reputation for excellence built upon the collective skills, talents, perspectives, and backgrounds of its people. We are seeking a Principal Cyber Engineer to support a position in Sterling, VA. The chosen candidate will support a large mission critical development and sustainment program to design, build, deliver, and operate a network operations environment with new cyber capabilities to address emerging threats. Criterion is supporting a U.S. Government customer on a large mission critical development and sustainment program to design, build, deliver, and operate a network operations environment with new cyber capabilities to address emerging threats. Criterion is seeking a Cyber Engineer to collaborate with the Customer’s SE&I team to assess architectures and requirements, to develop derived requirements and systems engineering artifacts, and to guide the Agile scrum teams in the development of advanced cybersecurity capabilities. By accepting a position with Criterion Systems, you will join a group of professionals with a collaborative mindset where we share ideas and foster professional development in order to accomplish our goals. In addition to our great culture we also offer competitive compensation and benefit packages, company-sponsored team building events, and advancement opportunities. To find out more about how Criterion can help you take your career to the next level please visit our website: www.criterion-sys.com. Assess and analyze system security to identify and mitigate risks and vulnerabilities. Recommend countermeasures to mitigate risks and vulnerabilities. BS Cyber Engineering, Computer Science, Computer Engineering, Computer Information Systems, OR a related field. Two years of related work experience may be substituted for each year of degree level education. Experience with standard security principles, policies, standards and industry best practices. Knowledge of U.S. GovernmentInformationAssurance policies, procedures,standards,guidelines,and objectives. Knowledge of Information Assurance and Information Operations technologies and development activities. Understanding of the processes and guidelines for Certifying & Accrediting (DCID, ICD, NIST 800-53, SANS 20) information systems based upon experience on a large-scale development program.